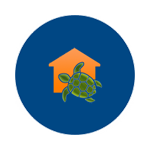 easyCayman is a home and real estate marketplace dedicated to helping homeowners, home buyers, sellers, renters, real estate agents, mortgage professionals, landlords and property managers find and share vital information about homes, real estate, mortgages, and home management. We are transforming the way consumers make home-related decisions and connect with professionals. Under the easyCayman brand, we provide a robust and growing suite of tools and services to help local individuals and agents better manage their properties. Each real estate listing provides comprehensive details about the property so you have a clear picture of what features and amenities are included. We also go beyond real estate listings with access to real estate tools and resources such as calculators, real estate buying tips, and even quotes for mortgages and home insurance. As a free online real estate site we are not tied to any agency or association rules and limitations, that gives us the hability to list all available properties, their price evolution and recommendations. Virtually everything you need to find the perfect home in the Cayman Islands is here. The easyCayman name evolved from the desire to create an effortless experience for individuals and professionals seeking quality information on all aspects of property in the Cayman Islands. We aim to provide a one stop shop for all facets of purchasing, selling, renting and management of properties. Created and maintained by Javier Chaos in 2013, easyCayman is part of the growing conglomerate of DMS related enterprises, located at DMS House, 20 Genesis Close, Grand Cayman.